Complete access to all functions of the watch without having to remove the case Extremely tough, durable case molds perfectly to your watch shape. The hard case for the Apple Watch is made of a flexible yet durable clear PC for a secure fit that exhibits the watch's true colors. It measures 0.5mm in thickness, adding only a negligible amount of weight. 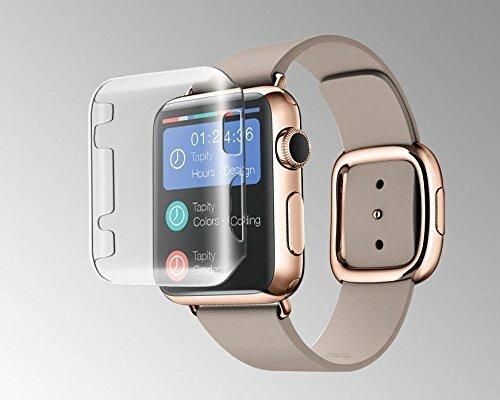 Wristbands can be easily swapped with this case on, making it the obvious choice in clear protection that's practical and convenient.